Dual system in one: power cleaning and watering. 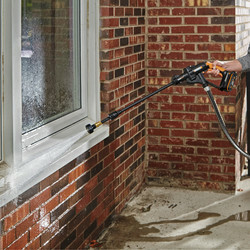 The WORX Hydroshot brings 20V cordless power to pressure cleaning. A light, compact design means easy cleaning on the go. With up to 10x the pressure of a normal hose, The innovative Hydroshot is completely portable as it draws water from any source. Completely portable so you can clean anywhere there is water, including using a bucket, stream or pool. Gives 30 minutes of continuous runtime. 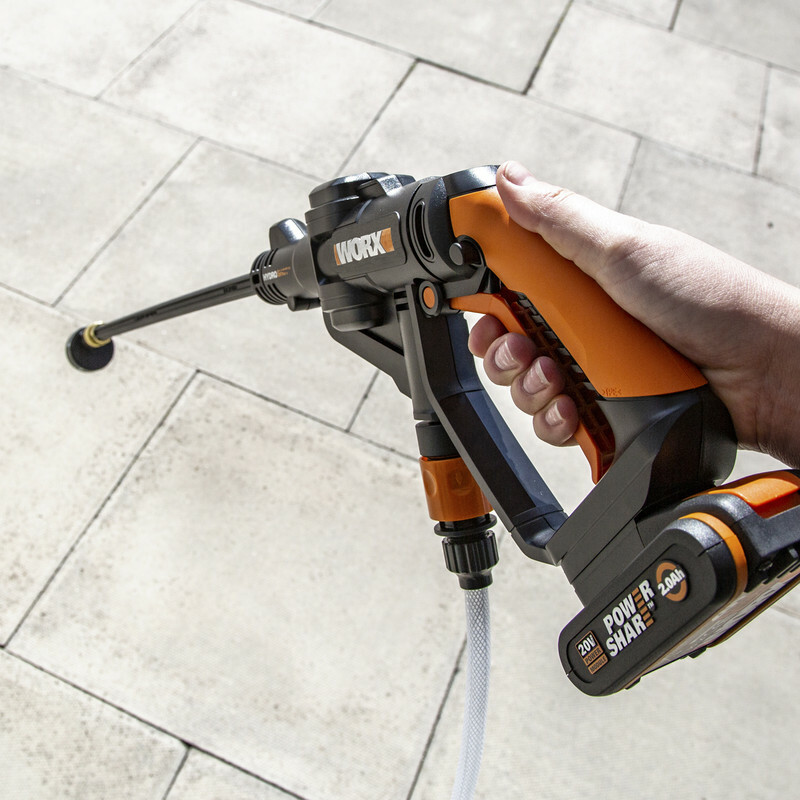 The Hydroshot is part of the WORX 20V Powershare battery platform, allowing you to share your 20V Max li-ion battery with your other WORX Garden & DIY tools. The Hydroshot also comes with five settings; 0°, 25°, 40°, shower, mist. 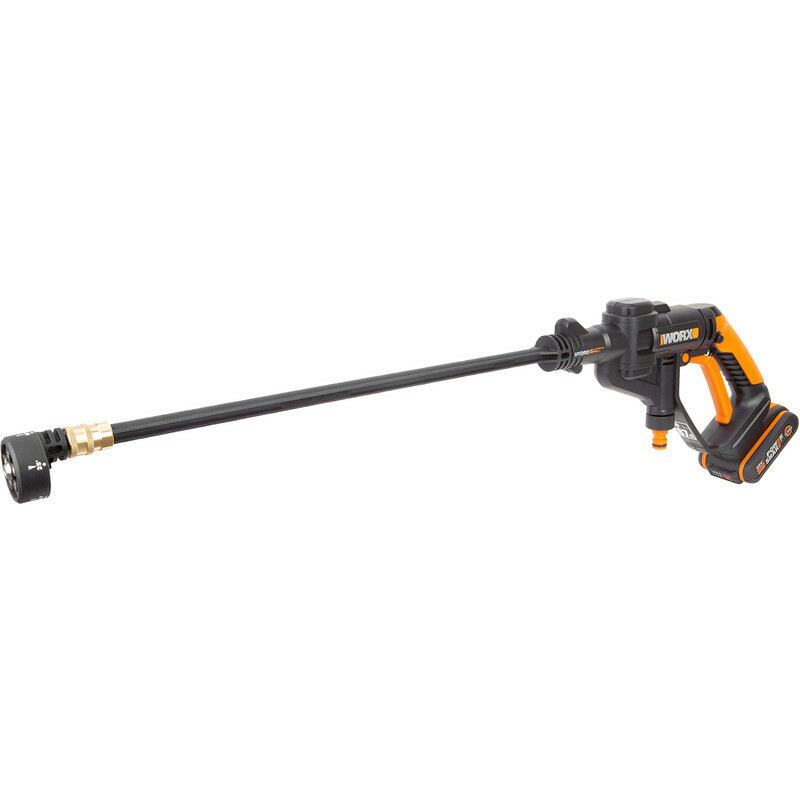 Worx WG625E 20V MAX Li-Ion Hydroshot 1 x 2.0Ah is rated 4.2 out of 5 by 18. Rated 5 out of 5 by Br1an from Perfect for Mountain bikes I bought this last month and it’s perfect for my mountain bikes. Not so powerful it damages components, but is very compact and easy to use. Rated 5 out of 5 by Axium13 from Worx Hydroshot Toolststion was an excellent place to purchace from. Orderred online then picked up next day from my local store. Product is brilliant just what I needed to clean the car as I have no tap at the front of my house.